We were formed in 1987 and Steve Libes, its founder is an Accountant and experienced tax preparer(AFSP) who is always helping individuals and small businesses pay the least tax. He will look at every deduction and see if it will help you. 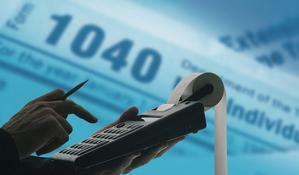 Regal Tax and Accounting Services is family-owned and operated right here in Longwood Fl. Since our company opened its doors in 1987, we’ve treated every customer like they were a part of our family. Other companies may offer similar services, but our services are the best, and come with a personal touch.